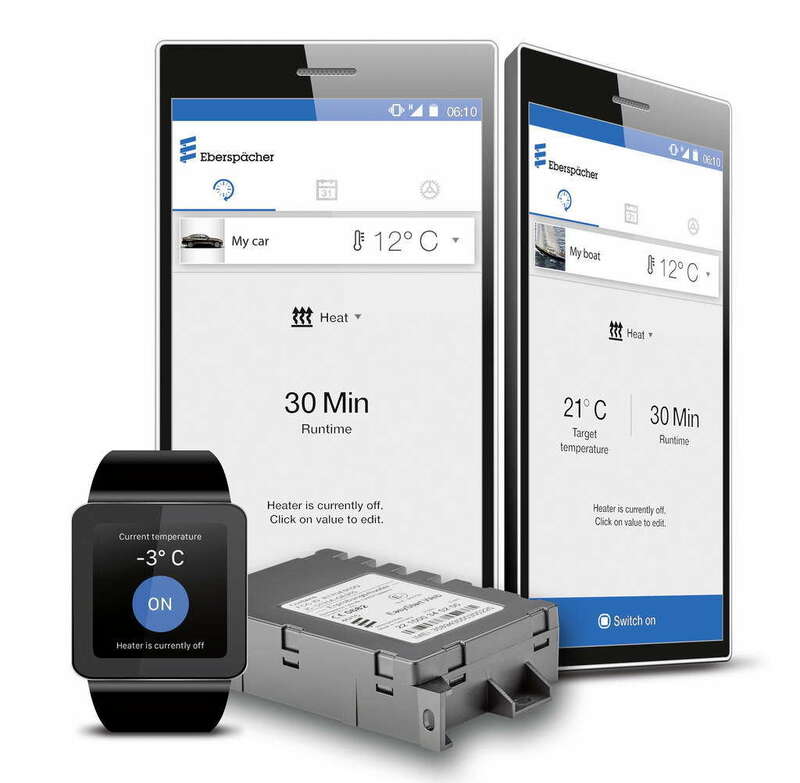 Esslingen, 18 July 2017 – Eberspaecher, a leading developer and supplier of vehicle heaters, is this year releasing an add-on for smartwatches with its EasyStart Web digital control unit. Drivers can now use an app on their smartphone, smartwatch or any other web-enabled end device to conveniently control their vehicle's pre-heater. With unlimited range, and from practically anywhere in the world with network coverage. 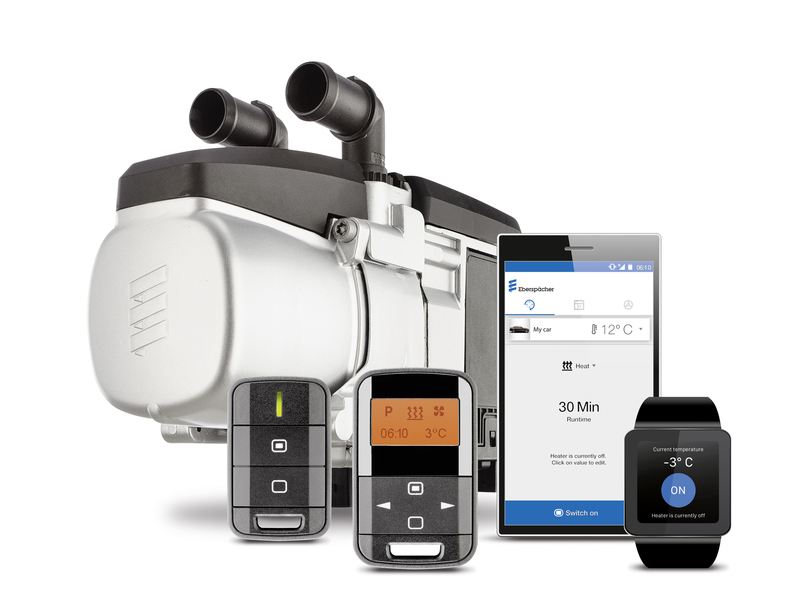 The app means Eberspaecher is the only pre-heater supplier to offer a web-enabled control unit that can also be run on a smartwatch. 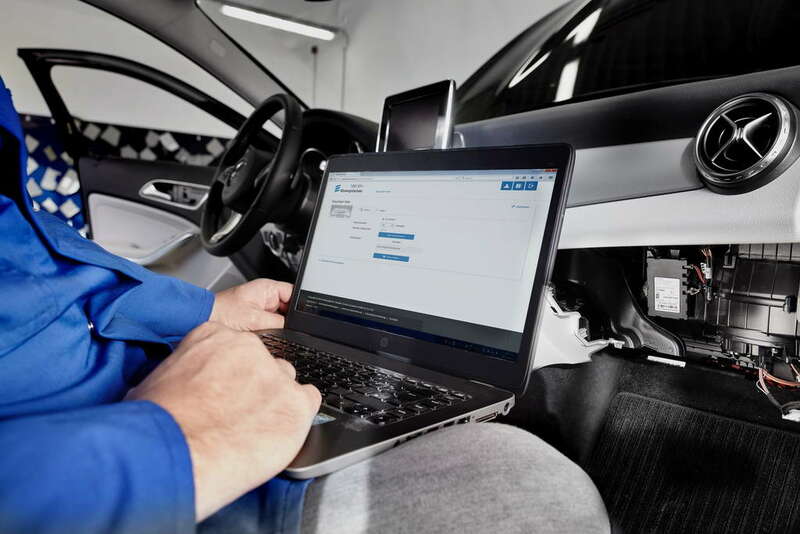 EasyStart Web makes it easy for users to access their pre-heater, program it using the timer function, retrieve current performance data such as temperatures, or provide their workshop with access for remote diagnosis. Anyone with a smartwatch can use the newly developed add-on to switch their heater on and off, and to check the current temperature in the vehicle's interior – including while heating is in progress. Up to four additional users can also be registered. Workshops will profit when retrofitting the add-on: EasyStart Web is easy to install thanks to its integrated antenna and the pre-installed SIM chip in the receiver unit. The software and hardware are compatible with existing Eberspaecher Hydronic and Airtronic heaters manufactured in 2007 and later. The recommended retail price of EasyStart Web for users in Germany is €399. Online connectivity in Germany is charged at a flat rate of €29.95 including VAT for 12 months, and thanks to the roaming function there are no additional charges for use abroad. The smartwatch add-on will be automatically available from app stores as part of the free smartphone app from August 2017, and will work on all standard Apple and Android models.